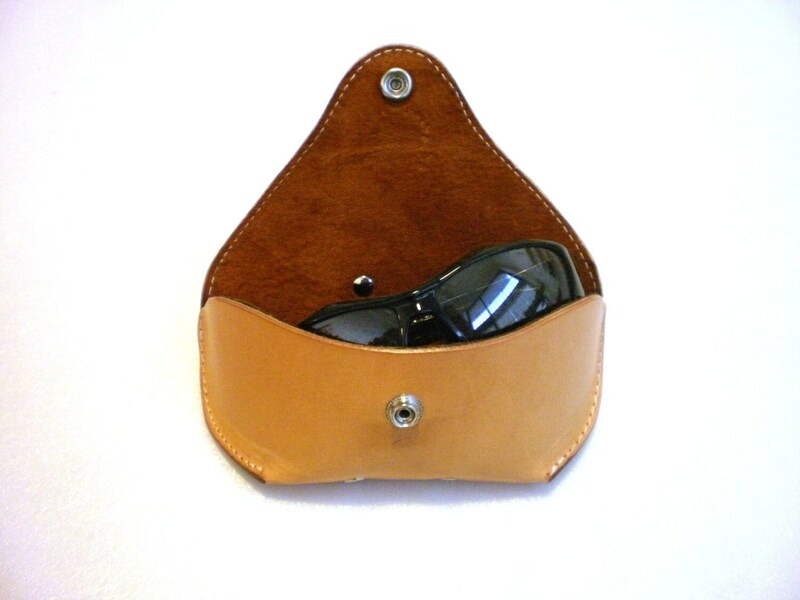 This is a genuine Celyfos ® handcrafted, real leather eyeglass case. 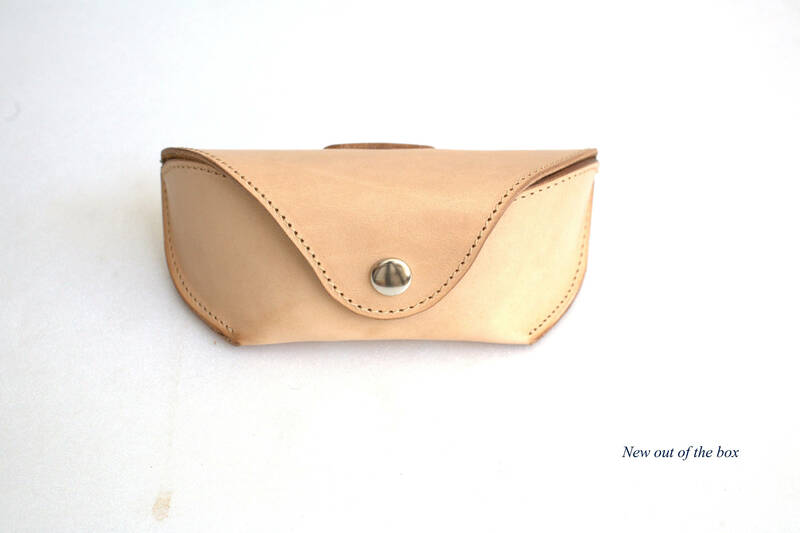 Made from vegetable tanned "vachetta" leather ! -Unique "V-Bow " design: There is a front side bow shaped hard shield backing, connected with a V shape built-in nose-pad rest, all the way to the back of the case, for maximum strength. 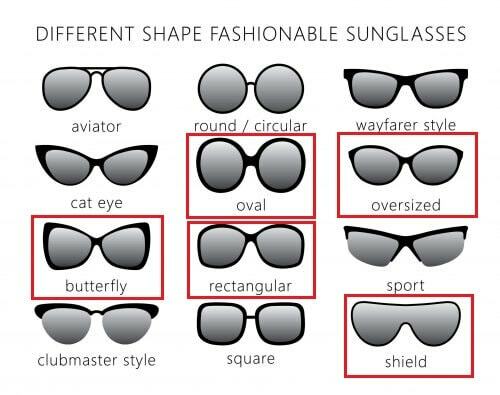 It's like a shell, protecting the eyeglasses from impact & compression force. View my other items too !! Top quality, should last a lifetime ! 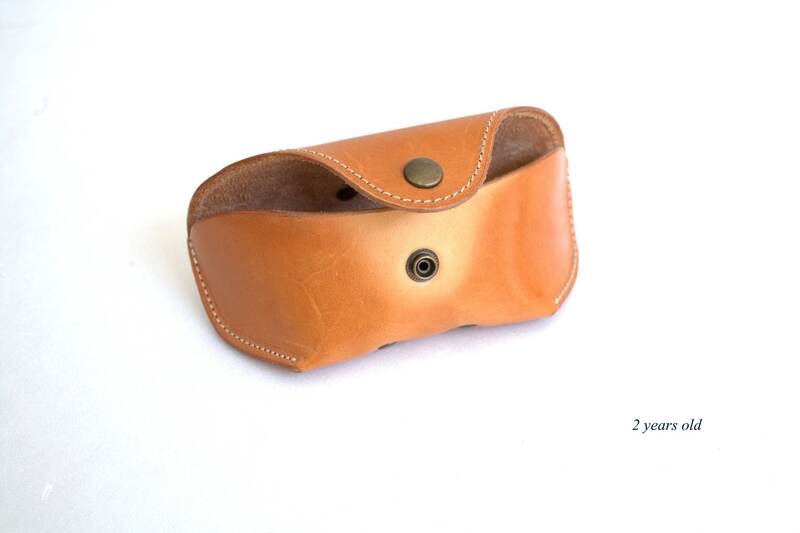 Beautiful craftsmanship and GREAT customer service. 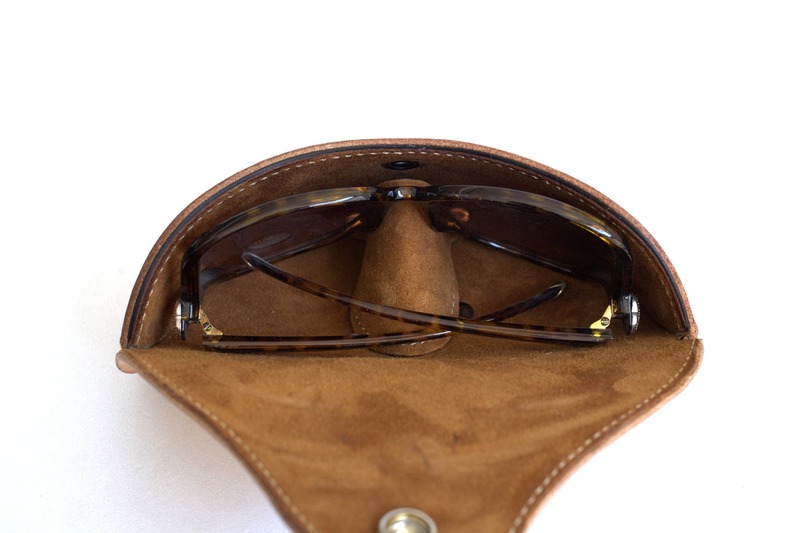 USPS absolutely destroyed my first package in shipment and there was NO eyeglass case in the envelope when it arrived. Andrew replaced the item, no questions asked, and was so gracious about it. Top notch! Will order from him again. Beautiful, handcrafted item. Gorgeous packaging made it an extra-nice gift to give! Great communication with seller. Thank you! 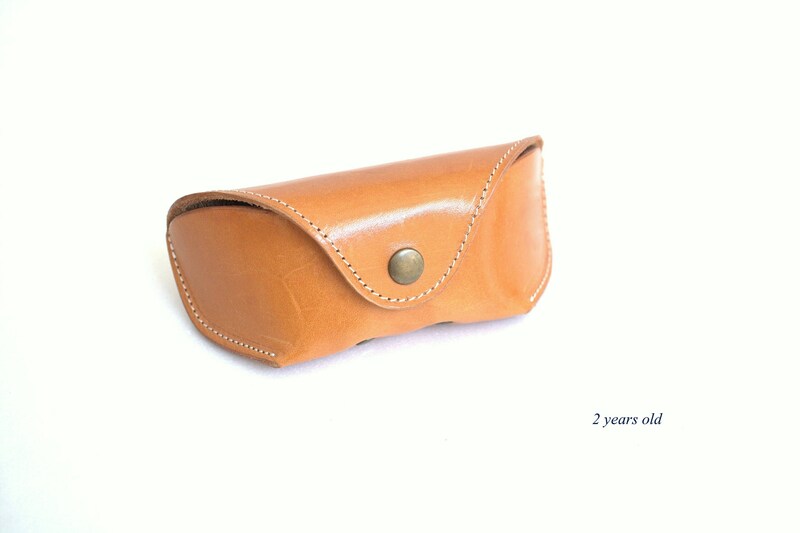 Beautiful handmade leather case for my sunnies thank you!